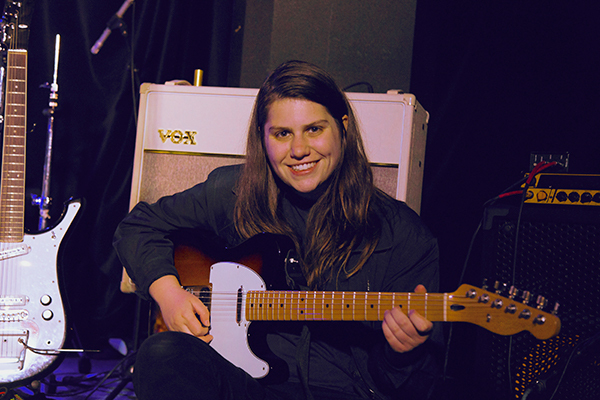 Alex Lahey hocked her beloved 1999 blue Corolla to pay for the recording of her debut EP. First single out of the boot was last year's Air Mail, introducing the airwaves to the Melbourne-based singer-songwriter's knack for melodic, guitar-driven hooks. A founding member of avant poppers Animaux, multi-instrumentalist Lahey has now gone solo and pared down her sound, embracing a simple, home-spun story-telling style that's often underlined by her second love, the fuzz pedal. Along with her new three-piece band and producer Oscar Dawson (Holy Holy, Ali Barter), Lahey is set to release her debut EP later in 2016 - bound to be the year's greatest Corolla-funded release.